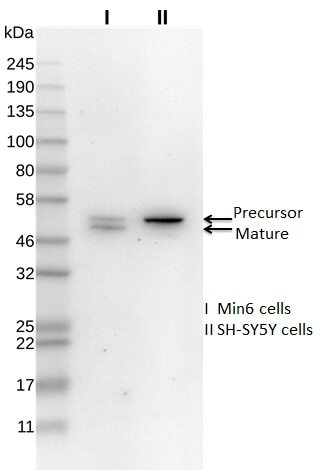 WB results of NXN antibody (16128-1-AP, 1:1000) with 20 ug total cell lysate of Min6 and SH-SY5Y. 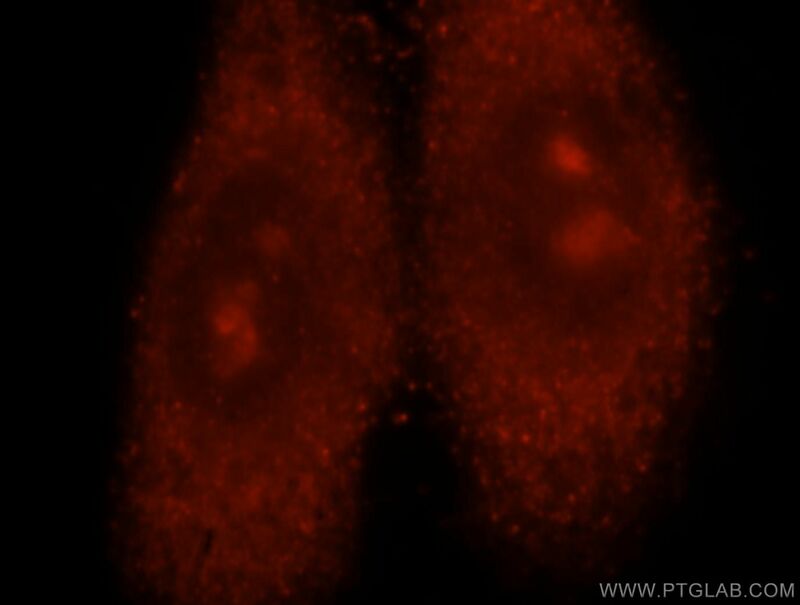 Immunofluorescent analysis of HepG2 cells, using NXN antibody 16128-1-AP at 1:25 dilution and Rhodamine-labeled goat anti-rabbit IgG (red). 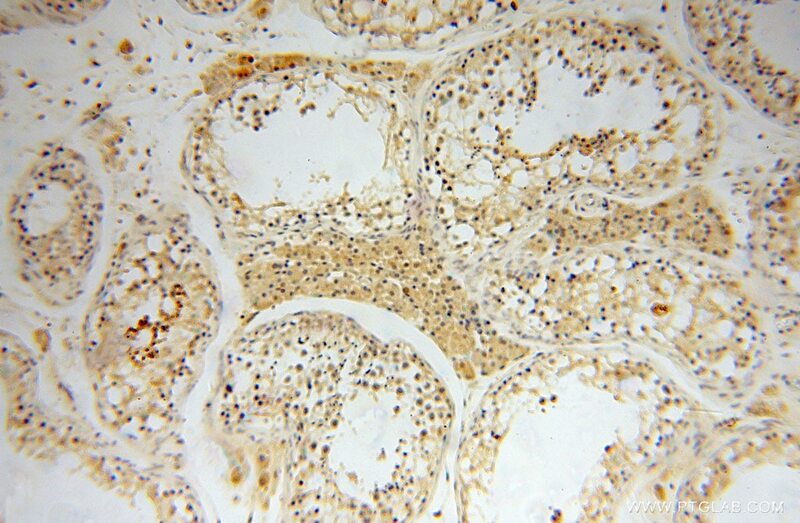 IP Result of anti-NXN (IP:16128-1-AP, 4ug; Detection:16128-1-AP 1:500) with HeLa cells lysate 3200ug. Nucleoredoxin (NRX/NXN), a relatively uncharacterized member of the TRX family protein, has recently been reported to regulate the Wnt/β-catenin pathway, which itself regulates cell fate and early development, in a redox-dependent manner(PMID:17567240). 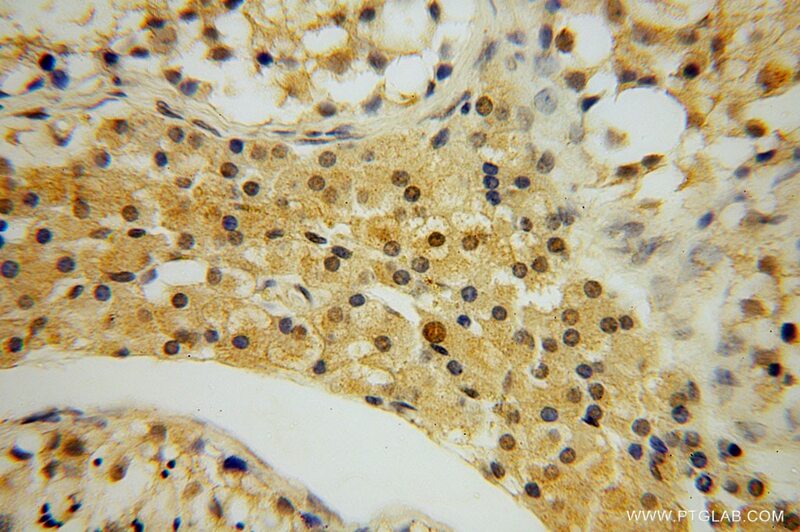 Northern blot analysis detected several nucleoredoxin splice variants in adult mouse tissues, with highest expression in testis and skin and lowest expression in liver(PMID:9119370). It has 3 isoforms produced by alternative splicing. 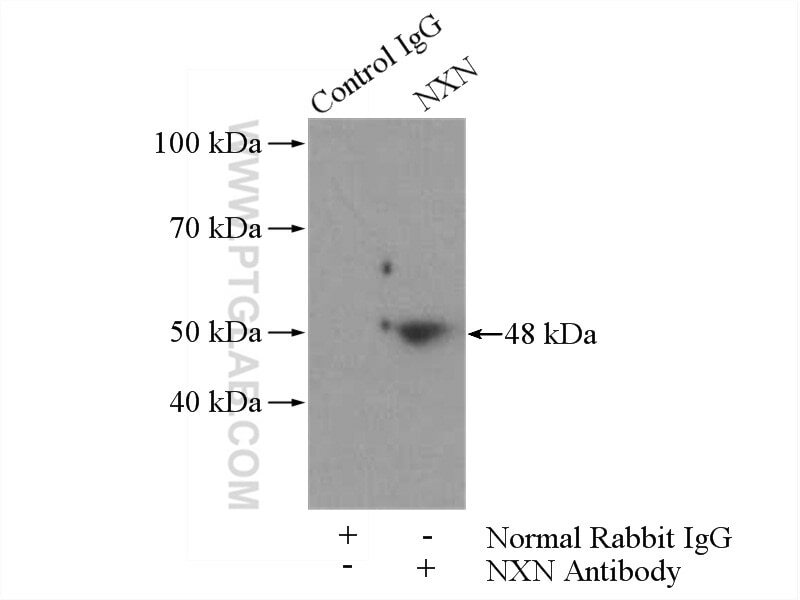 This antibody is specific to NXN. A crucial role for Nox 1 in redox-dependent regulation of Wnt-β-catenin signaling. Mitochondrial reactive oxygen species promote epidermal differentiation and hair follicle development. Nucleoredoxin-Dependent Targets and Processes in Neuronal Cells.